I don’t remember if it was the sunny beaches that beckoned us back from the delightful cliff-top restaurant every afternoon, or the memory of succulent little clams that pulled us off the sand, but either way our last trip to the Algarve is an amazing blur of sunshine and great food. Portugal has always had a special place in our hearts, with its terrific historical sites, unrivaled food, beautiful beaches and friendly people. 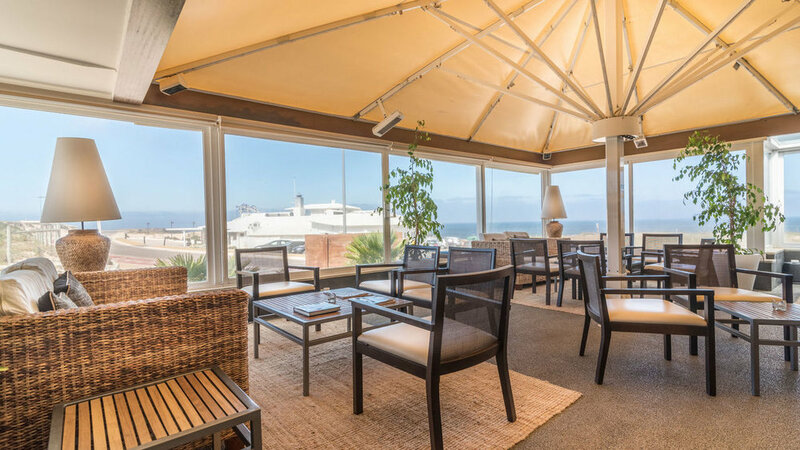 That’s why Nibble+squeak is delighted to partner with Martinhal Family Hotels & Resorts and share with you Martinhal founder Chitra Stern’s pick of best restaurants to dine with your kids in the Algarve and around Lisbon. Parrilla Natural in the Quinta do Lago area is an excellent restaurant to visit as a family looking for an elegant night out. They have a good menu with great meat dishes and other options too. The setting is beautiful with tables set in a grove outside the main building. São Gabriel Thai Garden– also in the Quinta do Lago area, this is a truly excellent place to go out with the family. The Thai menu obviously has some popular Thai dishes and the setting in in a beautiful old house with a garden. Vila Velha – in Sagres. One of our old-time favourites in Sagres for family dining. The restaurant has excellent service and a great range of dishes – both Portuguese and international. A good selection of dishes for vegetarians, too. Vivendos – at Meia Praia, Lagos. A small restaurant with great daily specials that the chef works hard on – good for lunch when you make a day-trip into Lagos from Sagres. Go before you get to the beach as it is not a beach restaurant. Sud Lisboa – fabulous setting at the River Tagus with views to the 25th of April Bridge (which looks like the Golden Gate Bridge in San Francisco). Located right next to so many tours must-sees in Lisbon like the Jeronimos Monastery, the Discoveries Monument and MAAT Musuem. Great for lunch. Panorama – Guincho – close to our Cascais property. Fabulous seafood and fish place with amazing Sea Bass baked in sea salt. Other favourites include the “Açorda” which is a typical dish from the Alentejo made with bread, garlic, coriander and prawns. Superb lunch experience with views onto the Atlantic. O Watt – in central Lisbon. Good gourmet food by Chef Kiko Martins – which little gourmets will enjoy too! Very close to Martinhal Chiado. Palácio Chiado – a very chic and elegant “food court” set in an old palace. A wide variety of food offers from Charcuterie to Sushi/ Sashimi. The hamburgers downstairs are fantastic. Bairro de Avillez – Chef José Avillez’s latest hit! Fabulous food inside a heritage building – simply amazing Lisbon experience. Also located very close to Martinhal Chiado. 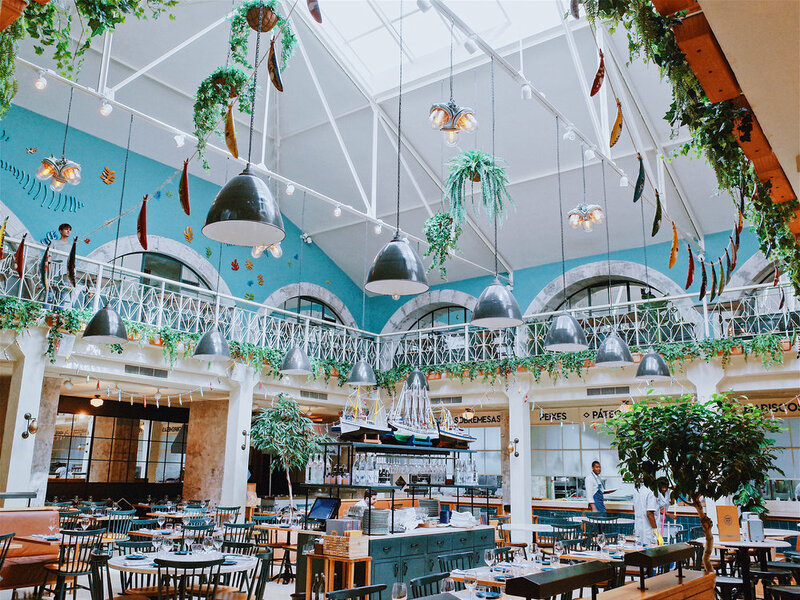 Mercado da Ribeira– also known as the Time Out Market – offers food by some of the best chefs in Portugal and stalls by some famous restaurants. Each member of the family can choose a different food stall to try the best of Lisbon’s chefs. Santini of course! Santini is the best “gelato” place in greater Lisbon – they now have several outlets but this is a great place to have their ice-cream. Go early if going for lunch or dinner – it isn’t too difficult to find seats together at noon or at 5.30pm, but it gets crowded at peak times. ENTER TO WIN! Martinhal and TAP Air Portugal are offering YOU a chance to WIN a one-week family vacation to Portugal!